Korean skincare really changed the way I care about my skin. I have learned more about my skin and also the science behind skincare. My skin is nowhere near perfection but improved a lot since I started building a Korean skincare regime, which is changing constantly, evolving! Depending on my skin needs I drop or add skincare products customizing my routine. Goals: Brightening, Whitening, fade PIH & fine line, prevent acne, pimples and clogged pores. In the past I assumed that my skin type was oily, well it kind of was because of hormonal acne. I used harsh acne cleansers (like the old school clerasil which broke me out) and some over the counter moisturizers for oily skin. After growing up and visiting a beauty salon 'specialist' told me that I had dry skin, so I started using moisturizers for dry skin. Only later did I discover that I had a combination skin type, this led me into buying “moisturizers’’ for the combination skin type. Unfortunately, nothing really improved my skin condition. There were only minor improvements due to prescription drugs and my own hormones that started to calm down. By that time I had spend a huge amount of money on 'ineffective' skincare, while my skin was still in a bad place. If to be specific; combination dehydrated skin with acne prone cheeks and enlarged pores. It was not until I became interested in Japanese and Korean skincare products that my understanding of my skin condition changed. I suddenly discovered that my skin was dehydrated and not dry as suggested by many beauty specialist. And all this years I couldn’t understand why my skin was acting so crazy, feeling dry but at the same time breaking out. Conclusion, my skin was dehydrated with a damaged acid mantle. Korean products make up the majority of my routine, with some Japanese and occasionally western products. I try many products in sample size before committing to full size products, this is especially true for the more expensive brands like Sulwhasoo. Below you can find my skincare routine and the products I'm currently using, the list will be regularly updated. Building a Korean skincare routine can be confusing with all the different products available; serums, ampoules, essence, toners etc. the questions arises which to put first and in which order? always start with the lightest product layering to heaviest consistency. I haven't tried many AB (Asian beauty) cleansers yet, this is really an area that I haven't explored enough. However, I know that pH 'friendly' cleansers work much better on my skin. The problem I have with most regular cleansers is that my skin can feel tight, dry and turns red after using them. COSRX Low pH good morning cleanser gel: This is my first step in the AM routine. 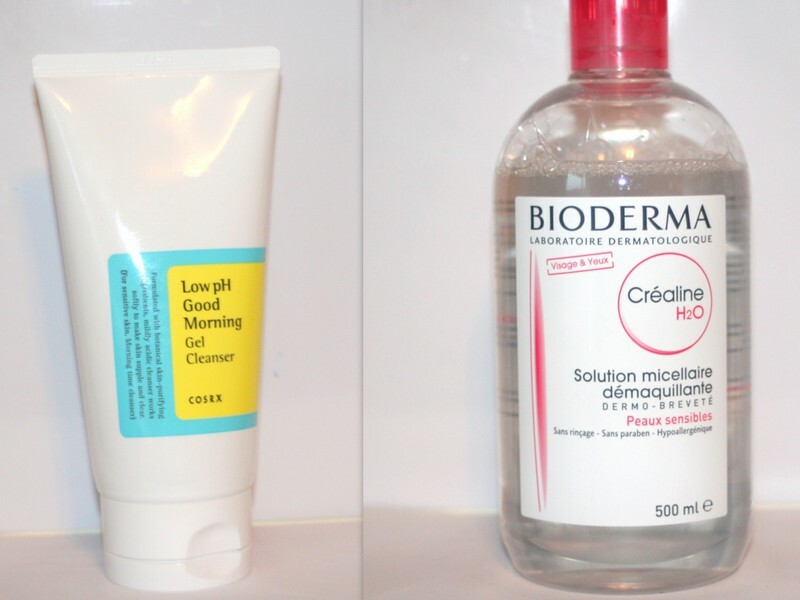 In the evening I like to use it after Bioderma Micellar Water. Really a nice cleanser, doesn't strip my skin of moisture and has a low pH. 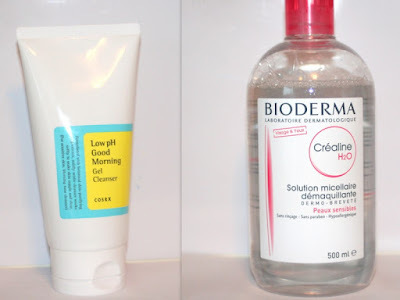 Bioderma Micellar Water: This is my favorite cleanser / make up remover, its really like water but takes of all my make up without irritating my skin. I have been using this one for over 3 years. As you might have noticed, one crucial product missing from my cleansing routine is an oil cleanser. I have tried oil cleansers in the past (not AB) and they broke me out. Micellar water is good for removing make up but using a cotton everyday is somewhat irritating on my skin, so I really want to give the double cleansing method another try. There are some oil cleansers on my wishlist, like the IASO Ghassoul Black cleansing oil. Under actives we understand ingredients that cause an immediate effect and are supported by extensive scientific research. This are the ingredients a dermatologist could prescribe to improve skin texture; wrinkles, whitening, fade PIH etc. The most known are Vitamin C (LAA-Asorbic Acid), Vitamin A (retinoids) and acids (BHA, AHA). Actives* are pH depended, meaning they only work at a given pH. Hence, your skins pH has to restore its self to normal, which is slightly acid at 5.5 pH. You have to apply them after cleansing step, I don't use a pH balancing toner so I wait 10-15 before using any actives*. If there are multiple actives* in your skincare routine you have to use them in an order, from lowest to highest pH. C20 Pure Vitamin C21.5 serum [review]: My all time holy grail product (pH 3.5) , I have seen much improvement in my skin (tone, texture) since using this serum. Very effective at whitening, brightening, fading PIH, preventing clogged pores and removing blackheads. I like to use it in my PM routine, after I wait for 15 minutes before proceeding with my essence. COSRX BHA Blackhead Power liquid [review]: A gentle everyday chemical exfoliation product (pH 4). Has drastically reduced the appearance of blackheads and also prevents new acne. An essence has a high concentration of beneficial active ingredients, its similar to a serum only water 'like', very liquid in consistence. The destination between essence and serums can be confusing, even to many Koreans. If I had to describe it in one sentence I would say its a lightweight treatment containing a concentration of active ingredients, mainly to hydrate, deliver specific ingredients and prepare the skin for the next step. 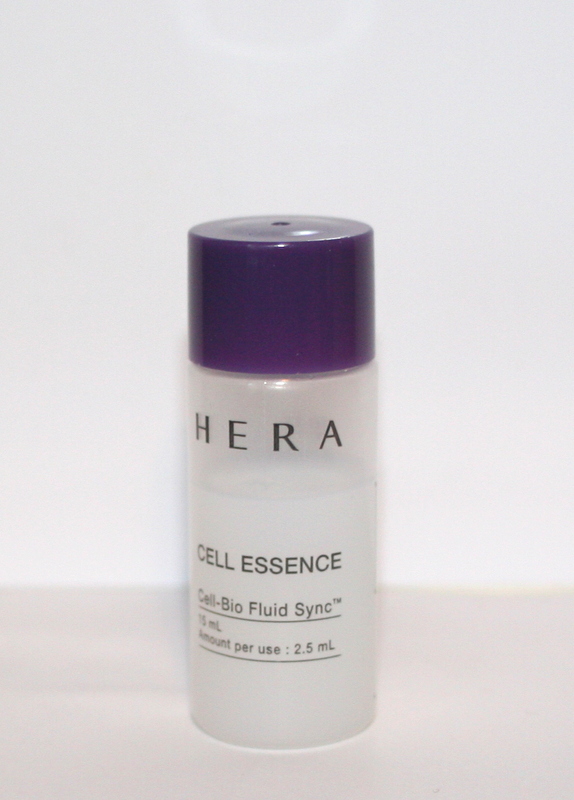 Hera Cell-Bio Fluid Sync: I'm currently testing this essence in sample bottles. Absorption is very good, my skin drinks up this essence but it also feels really hydrating. I used the Missha first treatment essence in the past (good product) and I'm planning on trying the Iope Bio Essence Intensive Conditioning. 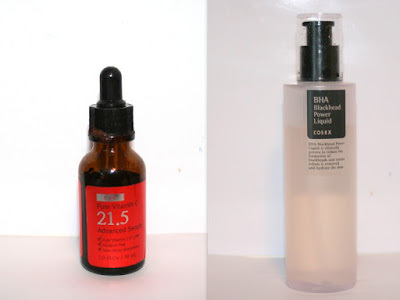 The essence has replaced my hydrating toner/lotion step in my routine. I have used the Hada Labo Hyaluronic Acid lotion [review] which is a Japanese lotion but in a Korean skincare routine its more of a hydrating toner, very liquid. I didn't saw the benefit of using a hydrating toner and essence together, the essence step already provides my skin with similar hydration. Although, I'm eager to try a pH balancing toner (which will be used right after cleansing). Serums contain high concentrations of beneficial ingredients to suit the needs of your skin, such as hydrating, increasing collagen production, providing antioxidants etc. Sum37 Time Energy Skin Resetting Repairing Serum: like all Sum37 products this serum is made from natural fermented ingredients. The Time Energy line promises to repair damaged skin, and restore your skin's balance (oil and moisture). I really love this serum and the entire line, its really moisturizing without turning my skin oily. By using Sum37 Time Energy line my skin hydration improved and acne/occasional outbreaks are in the past. This is my favorite part of the routine, Sheet masks can deliver that immediate boost in moisture, glow, brightening etc. depending on the mask you use and your skins needs. I like to use them 3-5 times a week and leave them on for like 35-45 minutes. Sheet mask are mainly part of my PM routine, but I also like to use them in the morning if possible. The results can last longer giving the skin that extra glow, dewyness! Unfortunately, its really time consuming. I think a 'lotion like' step before emulsion is not very common in the Korean skincare routine. However, I love using the Benton Aloe propolis gel so its almost everyday part of my routine. 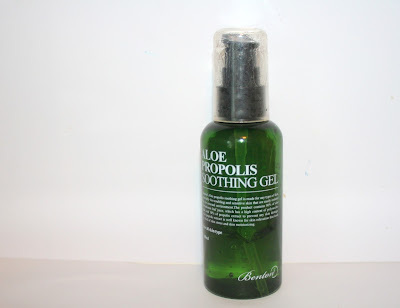 Benton Aloe Propolis Gel [review]: You can use this gel as an emulsion or lotion. 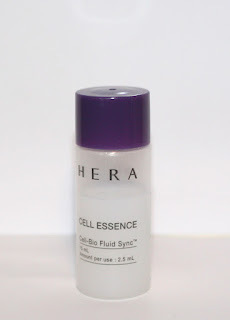 I like to use it before the emulsion step, as it gives my skin additional moisture, sooths and calms irritation. I can't survive the summer without it, a must have 'after sun' treatment. 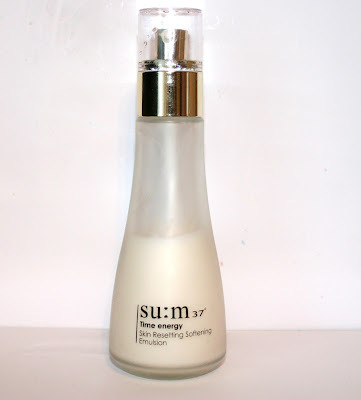 Sum37 Time Energy Skin Resetting Emulsion: Sum37 really is an amazing brand, everything I tried so far worked wonders on my skin, and the time energy line is no exception. Perfect for my sensitive, combination dehydrated skin. Cream are supposed to provide additional moisture to the skin if needed, the consistency is thicker than that of an emulsion. I sometimes skip this step depending on how my skin feels. Sum37 Time Energy Skin Resetting Moist Cream: This cream completes my Sum37 time energy routine. Its nice to use 2-3 products of the same line. I think it compliments the potential benefits working in synergy with one another. Finishers are a somewhat novel concept in Korean skincare, they are designed to be very occlusive, seal in the effects of other products and add glow and radiance. Sulwhasoo Luminature Essential Finisher: This product gives my face a nice finish, seals in all that moisture, and provides a glowy make up finish. I like to to use it in the morning as a last step of my routine before applying make up. Sleeping mask are supposed to provide moisture while you sleep, and are especially popular with dry skin types. I tend to skip finisher when using a sleeping mask at night. I use sleeping masks 2-3 a week depending on how dry my skin feels. 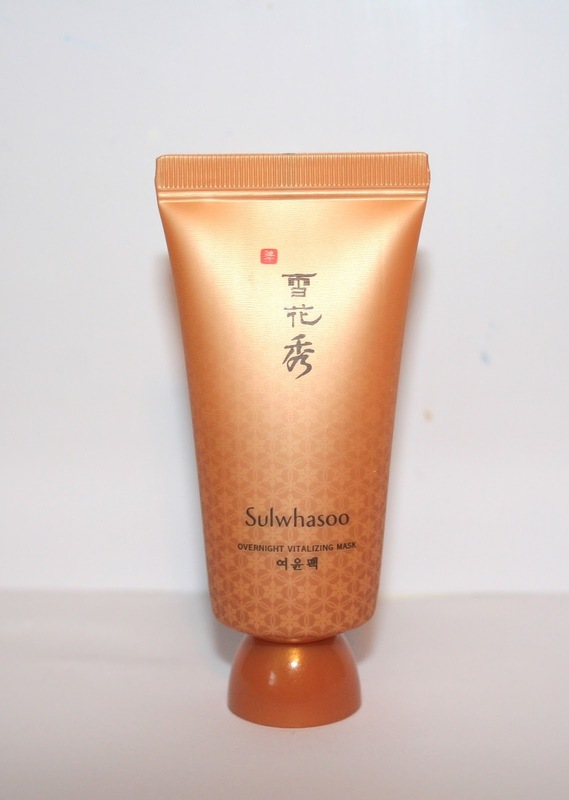 Sulwhasoo Overnight Vitalizing Mask: This definitely is a winner, the mask plumps, hydrates, and brightens my skin overnight. Lioele Waterdrop Sleeping Pack: Not the same overnight plumping, brightening and smoothing effect as the one from Sulwhasoo, but provides really good hydration and moisture retention. I mainly use this sleeping mask when my skin feels extra dry and tight. 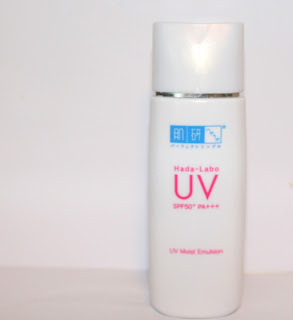 Protecting your skin from UV rays is one of the best things you can do for your face. Asian women know it and we in the west should become more aware of it. In comparison to western sunscreens, Asian sunscreen, especially Japanese, are really well formulated, without that white cast and heaviness. I use a sunscreen everyday during my AM routine, gone are the days now of reckless sun exposure. 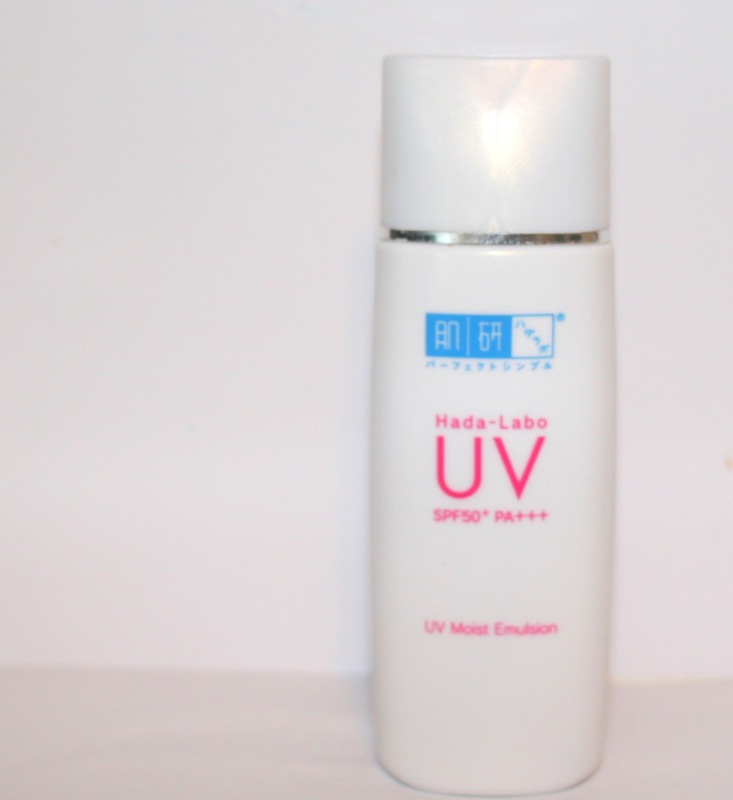 Hada Labo UV Moist Milk SPF50 PA+++ [review]: A nice alcohol free sunscreen containing chemical and physical filters. I like to use it during colder months as its not sweat and water proof. Biore UV Perfect Milk SPF50 PA+++ [review]: My choice of sun protection for outdoor activities ad humid weather. My teenager acne is in past now but on occasion some pimples and cysts pop up, thanks to genetic, environment and hormones. I'm not a clueless girl anymore trying to squeeze them out (of course it always made it worse). I spot treat them now using pink drying powders, clay masks and stickers. Mizon Acene Blemish Out Pink Spot [review]: Drying powders are my first choice of spot treatment,fast and effective. COSRX Acne Pimple Master Patch: This really heals, brings spot to whitehead and drains it. I like to use it under make up to not make the inflammation worse. Its also nice to use the stickers before going to bed to prevent further infection. Sulwhasoo clarifying Mask: Compared to other peel off masks this one is really good at hydrating, smoothing and brightening the skin without stripping the skin of moisture. Missha Black Ghassoul Tightening Mask [review]: I'm not a fan anymore of clay mask as they dry out my already dehydrated skin. I rarely use this, only when my skin feels oily (which can only happen in the summer) or if I'm having a horrible breakout. Kose Sekkisei Clear Whitening Mask: A good peel of mask for removing dead skin cells and some blackheads, the only downside can be quit drying. I have to extra moisturize afterwards. Some don't believe in the need of eye creams because most of the time they are just marketing tales to make us spend extra cash to buy a small 15ml jar. My under eye area skin is very sensitive, I usually break out using many western eye creams and regular moisturizers in that area, ending up with rabbit red eyes. I haven't tried enough Asian eye creams to make a conclusion yet, but many samples worked well and I even use my Aloe Propolis Gel (decreases swelling) and Sum37 time energy emulsion under eyes, without any irritation. So, I find eye creams not really necessary but just like to try new products and find ingredients that decrease swelling and discoloration. Mizon Snail Repair Eye cream: Contains 80% snail filtrate, formula is very gel like and rich but not oily. The eye cream is moisturizing, brightening, temporally firms and plums the under eye area. Origins GinZing Refreshing Eye Cream: This product really helps to reduce swelling, dark circles, and puffiness. I like the consistency of the cream, really light and absorbs fast. I would definitely advise the sum37 emulsion (only tried the time energy, but I imagine emulsions from other line been just as good ..) you can get sum37 time energy emulsion for 30-40 euro on ebay and the sulwhasoo regular between 40-50 euro. 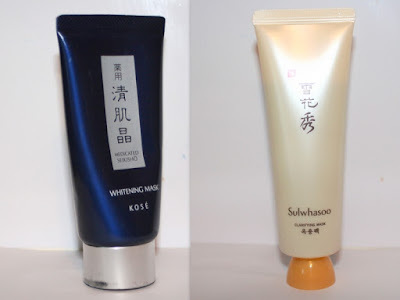 I haven't tried the sulwhasoo emulsion so can't compare them. Keep in mind that sum37 is made from various fermented ingredients (37 been the fermentation temperature ) and sulwhasoo traditioonal Korean herbal medicine. You can start with some samples on ebay, see which you like more before buying full size. Are you using the same sum37 time energy emulsion? The time energy line seems to be good for both dehydrated, combination and dry skin. My skin is dehydrated but I would say also dry at some area's depending on the season. I'm loving the mix of brands you use! Sum37 is the love of my heart, but for now I'm still stuck with random samples here and there in my routine. Would love to make it a staple! 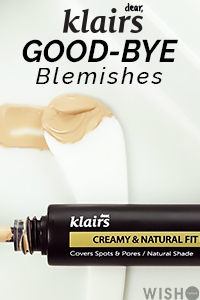 If you're looking for an eye cream (I'm an avid believer in those, as my undereye area is so dry that my usual moisturizer just doesn't cut it...), their eye creams are all super effective! Thanks :) Im still looking for new products to try but for the first time Im confident with my skincare regime. Thanks ) I'm curious about the ciracle vitamin C, have you tried the C21.5 to compare them both? I don't try any from this products. Interesting post! This is such a great and in-depth post. I haven't tried most of these brands yet but am hoping to try a greater variety soon. I also keep hearing about micellar water for makeup removal. I am curious to know if that would work for me since I haven't had much luck removing my makeup with oil cleansers. I might have to give it a try! Thanks ) maybe I should do a post about micellar water, it's pretty good in removing make up, almost as good as a cleasing oil and maybe even better (some cleansing oils are better than others). I think it's a good option if your skin is sensitive you don't want to use oily cleansers, you don't even need water for that so good for travel. I really love reading about skincare routines, the honest ones. I can never stick with eye rollers, I've tried from garnier to pretty much anything drugstore and hard to say I find the results incredible enough to keep me going. But the moisturizer and toner sound pretty good, I am on the hunt for a toner that "works" and my current one, despite being gentle enough, does nothing but to wet my face. thank you for saving my life! i've always thought that i have oily/combination skin type so i used all kinds of products that left my skin being dry in the morning but becoming more and more oily by the end of the day. i couldn't wear any foundation without looking like an oily- flake monster! i'm so glad that i found your post about korean skin care routine, i'll definitely try it out! Glad it was helpful. You should definetly try a korean skincare routine ! Just didn't introduce things all at once, test one product see how it works and later you could add something else to your skincare routine.